Imagine a soldier is wounded in the middle of a violent firefight in the streets of Mosul, Iraq. With bullets whizzing in every direction, it’s almost guaranteed that a medic would be shot in a rescue attempt. Enter the BEAR robot, which rolls up to the wounded soldier, scoops her up in its arms, and spirits her away to safety. This scenario, still hypothetical at this point, is the initial aim of the BEAR (Battlefield Extraction-Assist Robot). 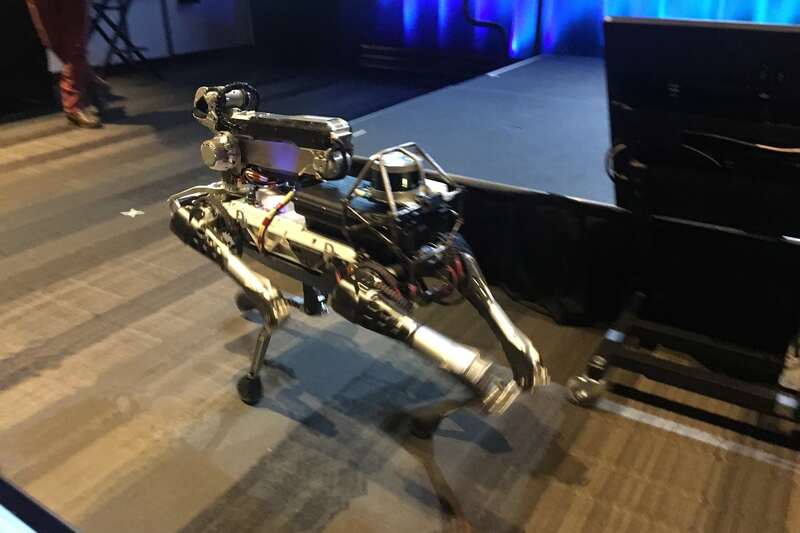 Video footage of similar field tests in 2008 made a YouTube sensation of Waltham, MA-based Boston Dynamics’ BigDog, a stunningly agile quadruped robot. (A YouTube clip of the robotic canine has been viewed more than 8 million times and counting.) The BEAR will undergo some of the same tests as the BigDog, including a climbing exercise and a swift kick by a soldier intended to gauge its ruggedness and stability, says Allen. Though designed for some of the same missions as BigDog, the BEAR is a humanoid robot that stands 6.5 feet tall on two legs. The legs bend at the hip and knee joints and both the thigh and calf segments have treads, enabling the robot to kneel and drive like a tank (it can’t yet walk upright). On its treads, the robot can carry up to 500 pounds in its hydraulic-powered arms, a level of strength that exceeds other robots in development for the military, Allen says. The BEAR is designed to be controlled remotely by a single person and can also do things autonomously like pick up a box and move it to a specific location.